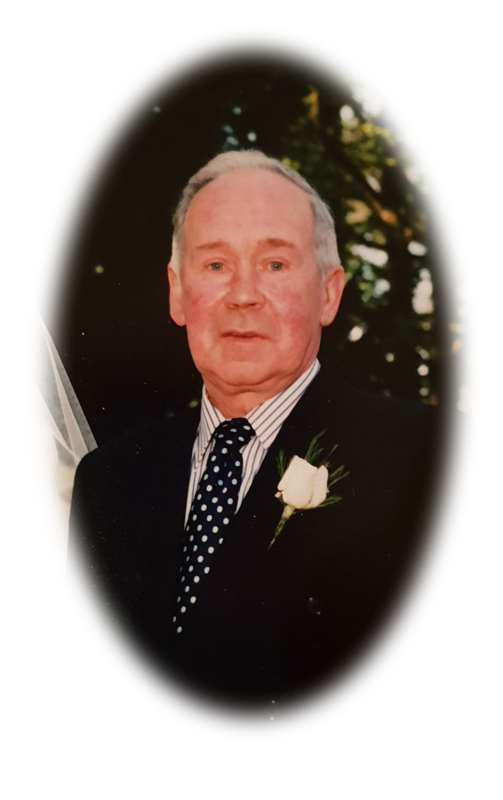 Mc Sorley Jack (Trillick) died peacefully at Omagh Hospital & Primary Care Complex surrounded by his loving family on Saturday 1st December 2018. Beloved husband of Kathleen (nee Kelly), devoted father to Jacqueline (Lynch), Brian, Leon, Dermot and Kevin. Brother of Kevin and the late Josie (Mellon), Vera and Liam. Jack will be reposing in his late residence 177 Galbally road Trillick, BT78 3QW from 10am on Sunday 2nd December. Wake private. His remains will leave his late residence on Monday 3rd December at 10.15am for 11.00am requiem mass in St MacCartan’s Church, Trillick followed burial in the adjoining cemetery. Family flowers only, donations in lieu of palliative care ward Omagh c/o McAtee Funeral Directors. Deeply regretted by his loving wife, daughter, sons, brother, son-in-law, daughters-in-law, nieces, nephews, grandchildren and entire family circle. St Padre Pio pray for him. Please click on messages of condolence below to leave messages of sympathy in relation to Jack and his family. With deepest sympathy to Kathleen and family. Sincere sympathy to Kathleen and the mcsorley family on the death of Jack , you are in my thoughts and prayers . Deepest sympathy from Paul and Marie Allen. RIP Uncle Jack. Deepest sympathy to Auntie Kathleen and the family. In my thoughts and prayers. Deepest to Kathleen and family on the death of Jack may he rest in peace.